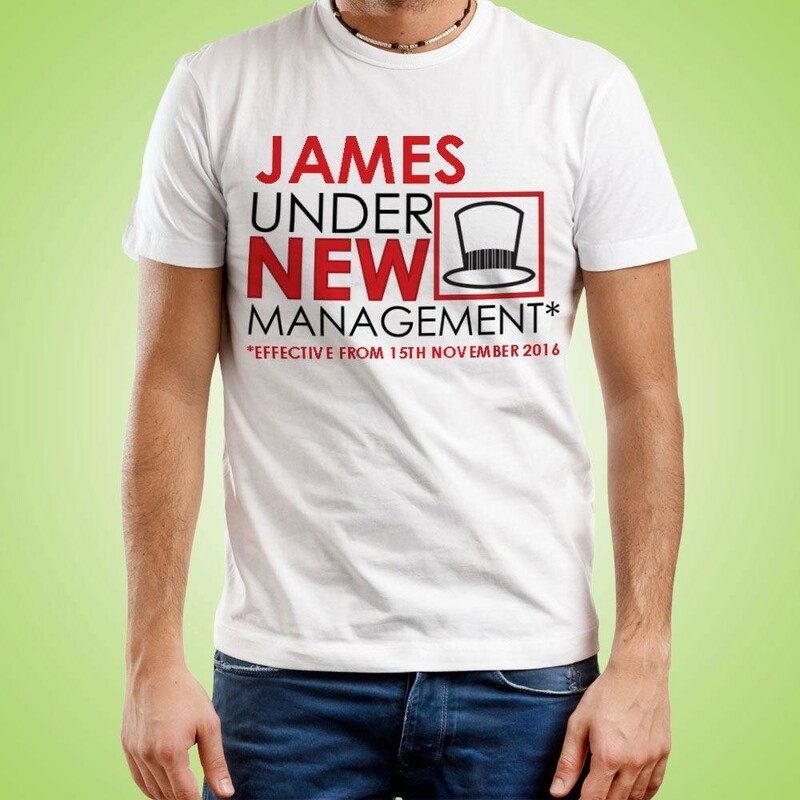 Our “Under New Management” t-shirt is an ideal gift for any Groom to Be – great for an engagement gift, stag party, or to wear on the morning of his wedding. 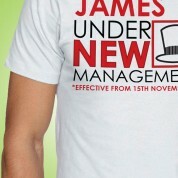 Printed on a white t-shirt, the black and red design is personalised with his name and wedding date. 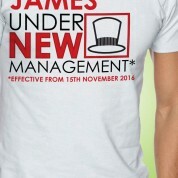 It is completed with the top-hat graphic and “under new management, effective from” text. It's a quirky and fun gift to let all the ladies know that this lucky man is taken! His fiancé might even like it just as much as he does! 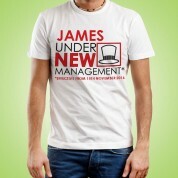 All our designs are printed on high quality heavy cotton t-shirts. Wash at 30°C, iron on reverse, do not tumble dry.